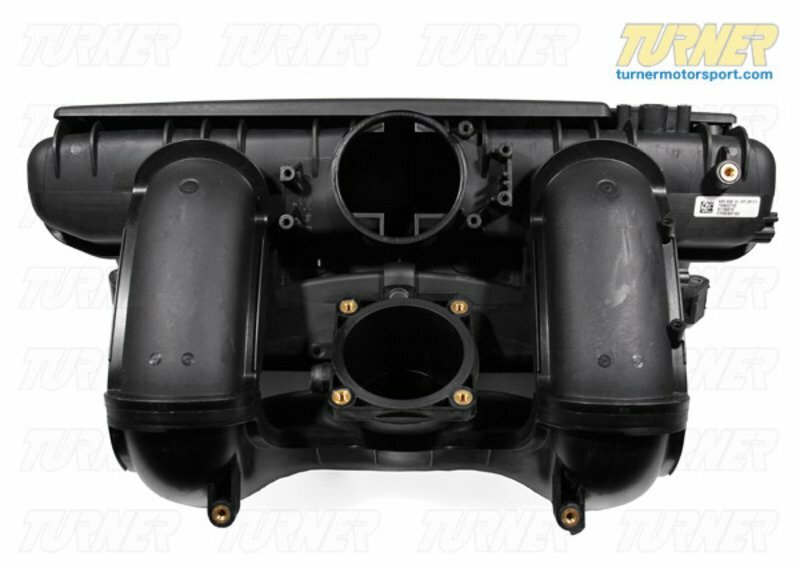 The intake manifold from the 2006 E90 330i is a direct, bolt-on upgrade to the other cars with the N52 engine - 128i, 325i, 328i, 528i, and Z4 3.0i. The 330i used BMW's 'high output' N52 engine with a stock 255hp. The other cars used a very similar 3.0-liter engine with only minor changes. The biggest change was with the intake manifold. While these other cars used a single-stage intake manifold, the 330 came with a more advanced 3-stage manifold with electronic valves to direct air to the cylinders that need it most. 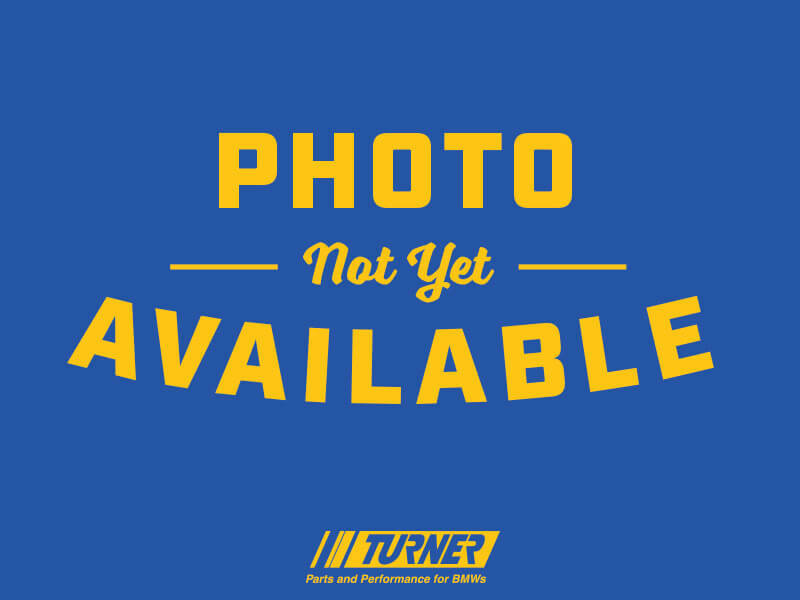 This kit is a straight-forward bolt-on complete with performance software. The 330 manifold uses two electronic DISA valves (Differential Air Control) to direct incoming air to the cylinders that need it most. The system works based on RPM range to fill each cylinder with as much air as possible while the intake valves are open. This is done by diverting air away from cylinders that have their intake valves closed. With more air volume and fuel adjustments you can extract more power from those cylinders at any given RPM. 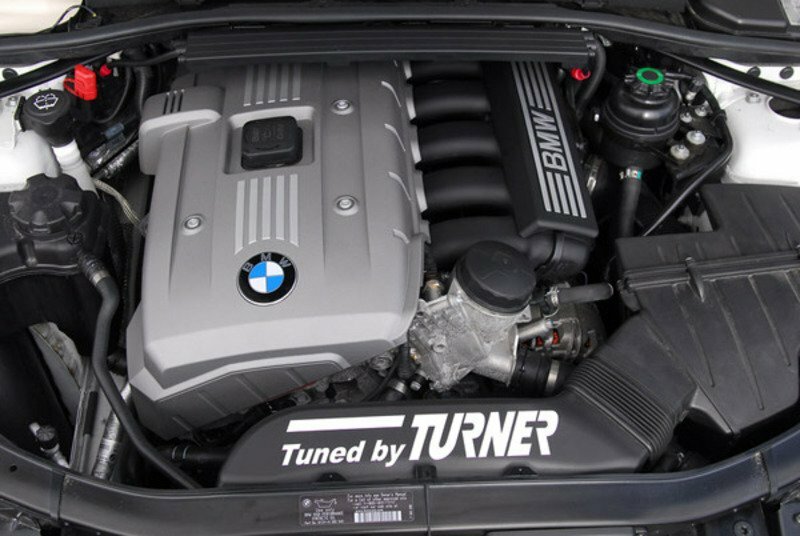 The standard and medium output N52 engines make do with the old-fashioned single stage system that only works to boost torque in the mid-range. With the additional DISA system you can extract much more power, especially at high RPM. We did our first development on this system in 2006 and it has been one of our top N52 performance upgrades ever since. 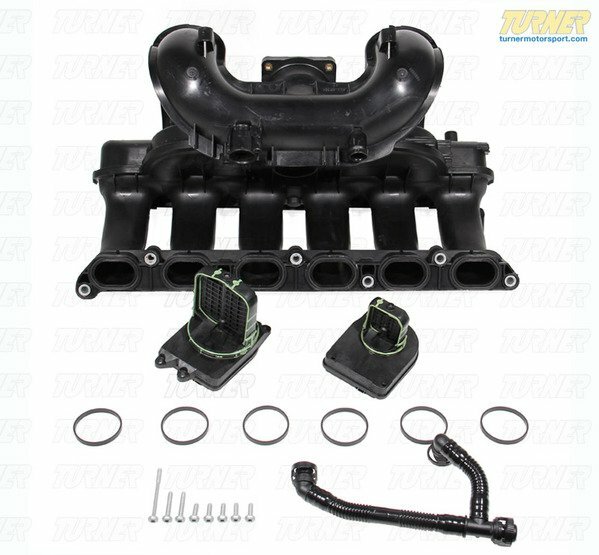 Removing and installing the new intake manifold is not very difficult but is quite a bit of work because of where it's located and all of the associated components that are attached to the manifold itself. All of these fittings, brackets and components will be transferred over to the new manifold. There is no drilling, slicing, fabricating, or soldering required. And since the pieces in this this kit are all factory parts the finished install is exactly like what would come from a BMW 330i. There are two DISA valves that are installed on the new manifold and the wiring to control them is already located in your engine bay. Your original throttle body and intake ducting fit exactly the same way. The software is done as a reflash of your engine computer. The computer must be sent in to Turner Motorsport for the upgrade. The easiest way to do this is to book your order online, we will contact you with instructions, send us your computer, and we will ship back the upgraded computer and the rest of the kit (you're not charged until items begin shipping). We provide the anti-static bag for your computer. 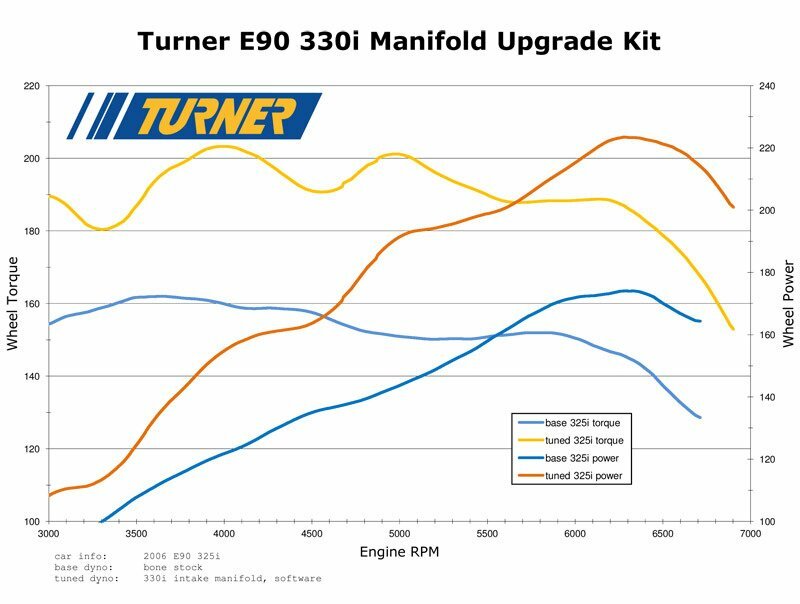 You can use the car with the 330 manifold installed and the stock software but the original 325/328 software will not be optimized for the new manifold. The biggest change you will notice is the extra power, especially at high RPM. This is a kit that will make you want to rev to redline on every shift just to feel the difference. 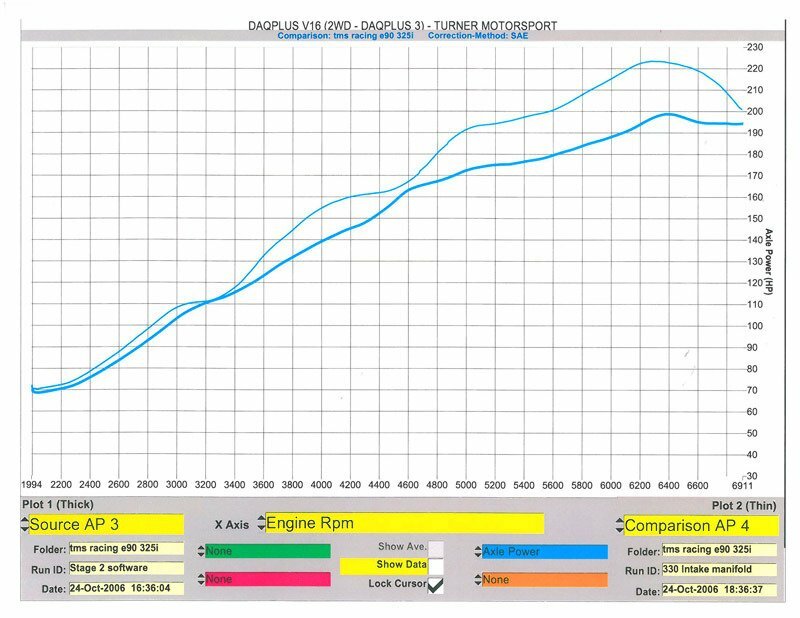 The power gains are not 'peaky' but there is a very noticeable bump in output starting at about 3,500 RPM. And with all factory parts and proven performance software there is no downside. 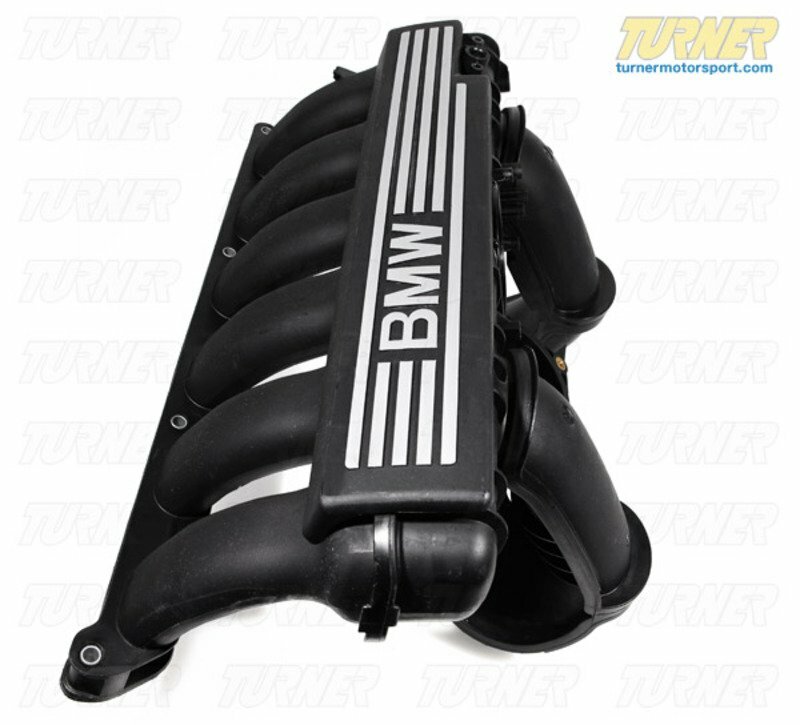 The 330 manifold upgrade just may be the best modification you ever make to your E90! Note for N51 SULEV owners: the N51 engine already comes equipped with the 3-stage manifold. It's the same part number as the 330 manifold. The software is still available for the N51 so you can still get more performance, power, and torque (click here). Mail-In reflash (I will ship my ECU to Turner). Add a shipping packet for your ECU?